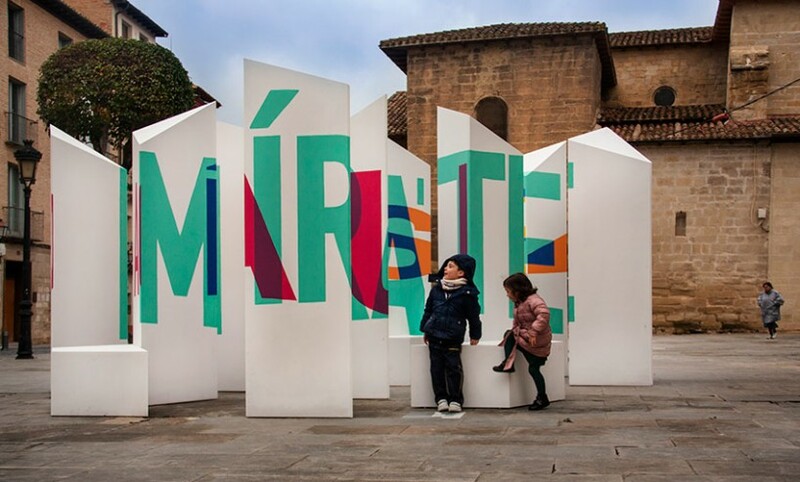 Artist Boa Mistura recently created an incredible anamorphic typographic installation that spelled out a line from an Enrique Cabezón poem. 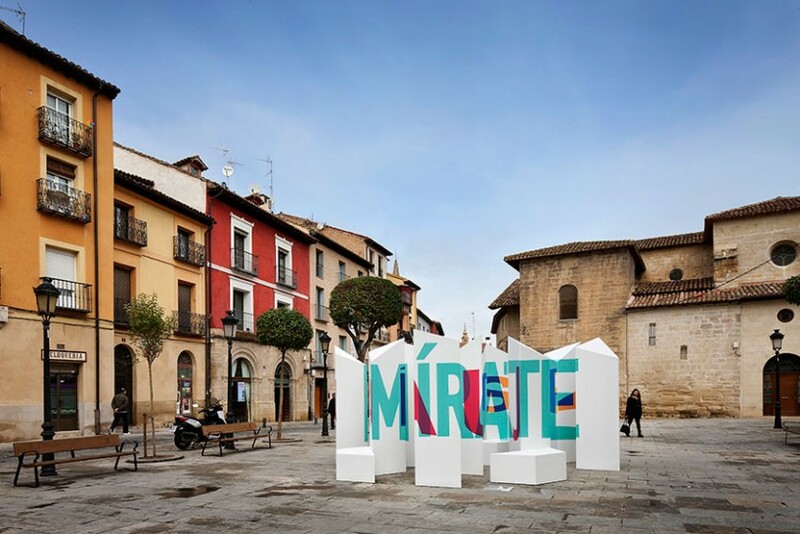 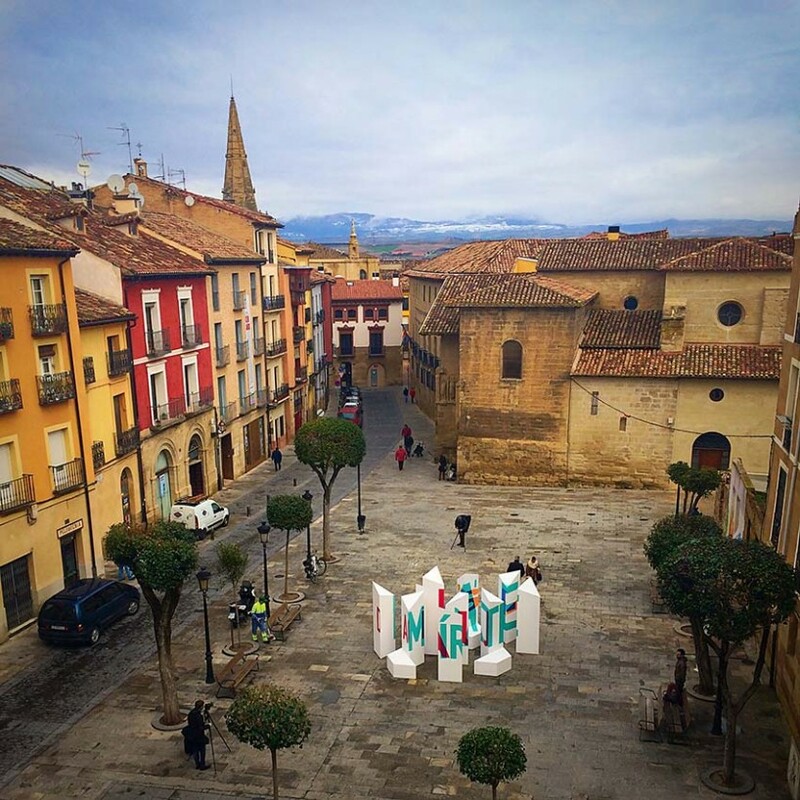 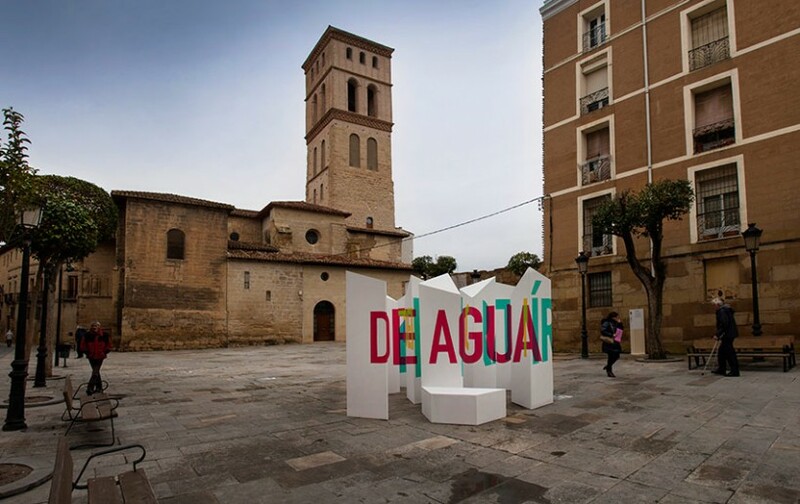 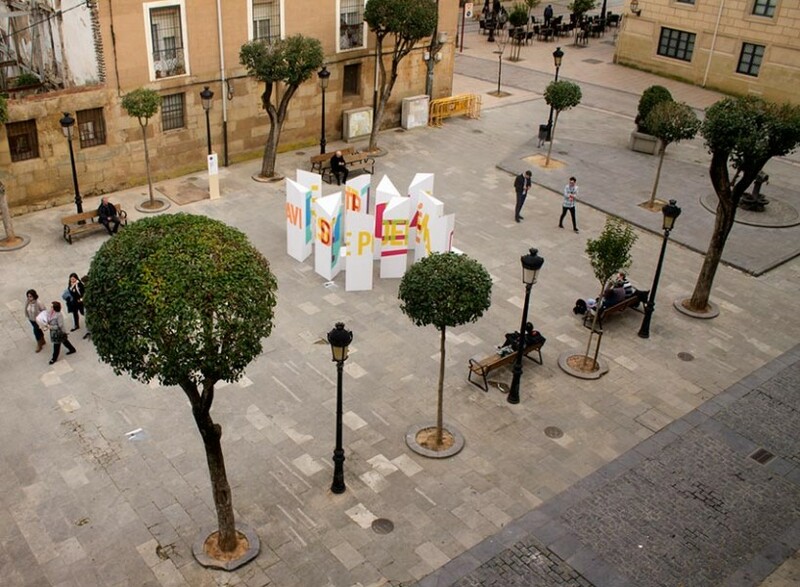 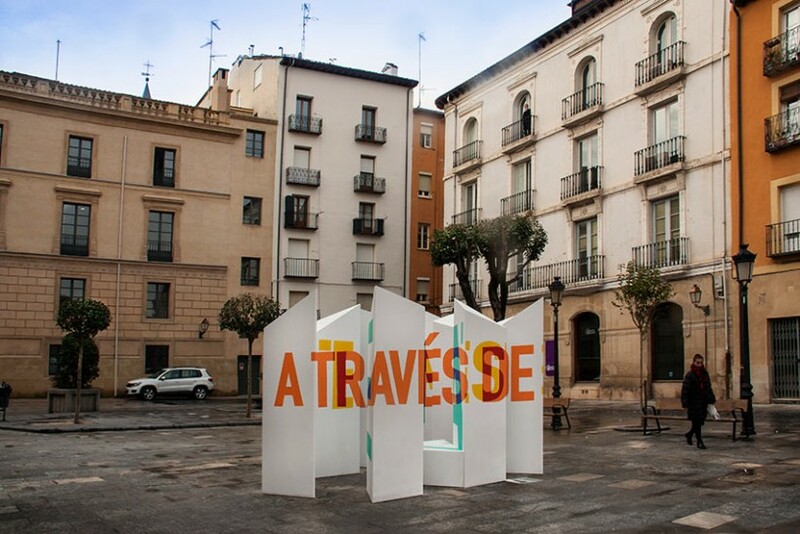 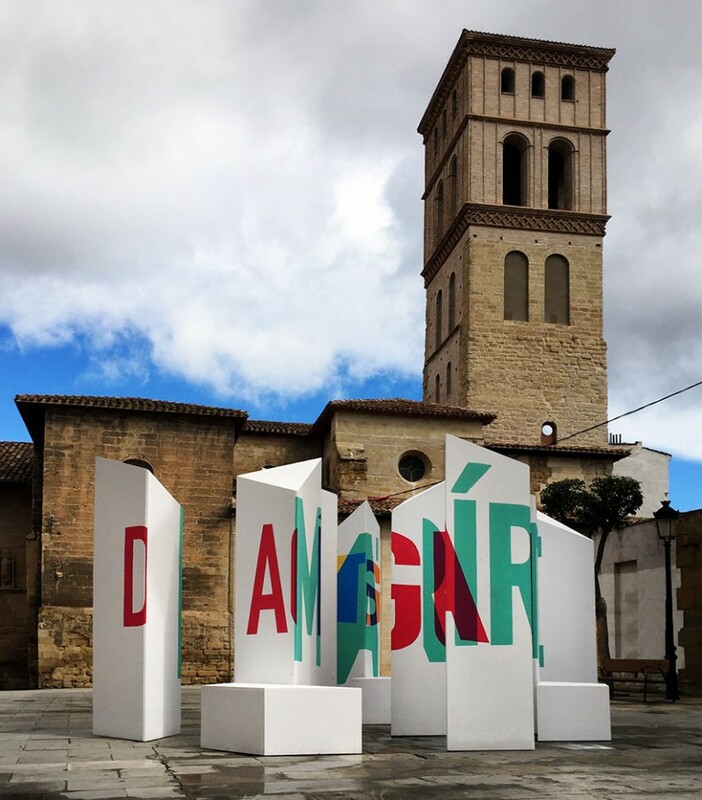 The phrase “mírate a través de este poema de agua” was on display this past march as part of the ‘Concéntrico’ Architecture and Design Festival of Logroño, Spain. 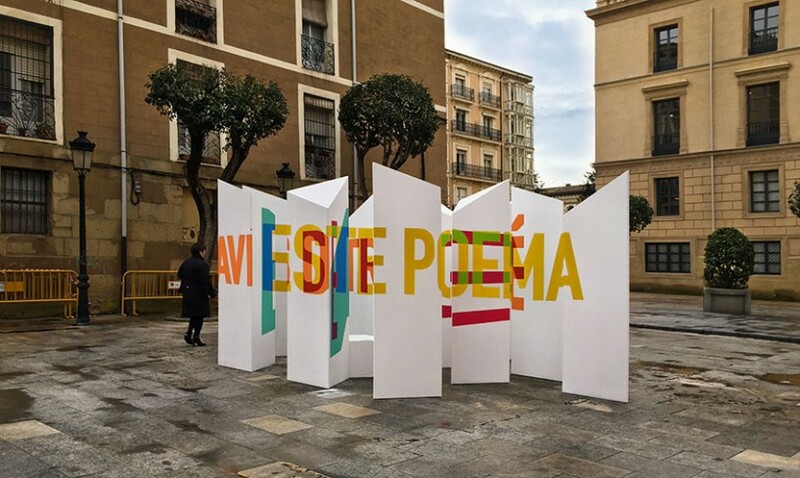 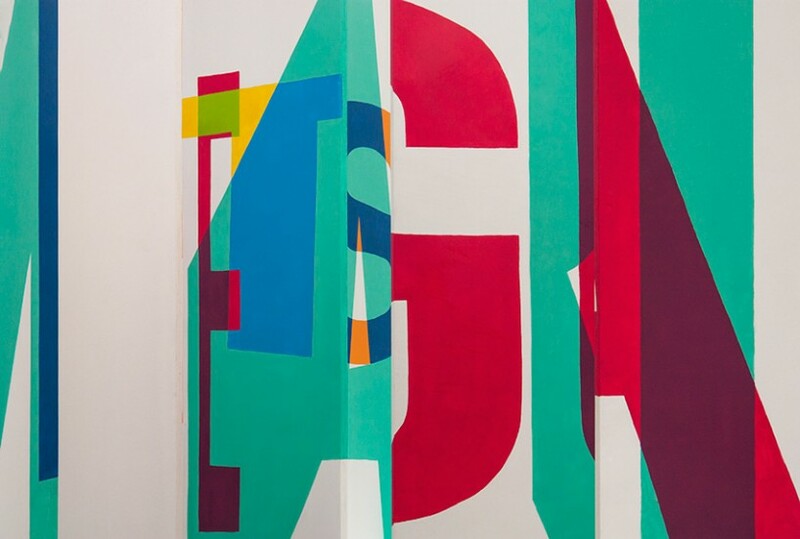 In order to read the entire phrase visitors had to walk around a group of white painted pillars and only in a certain portion of four different spots the colorful words became legible.